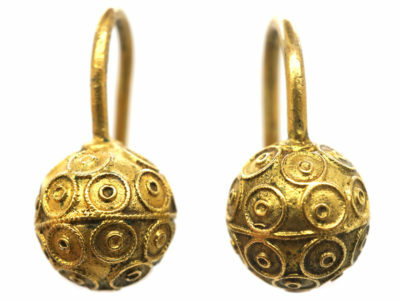 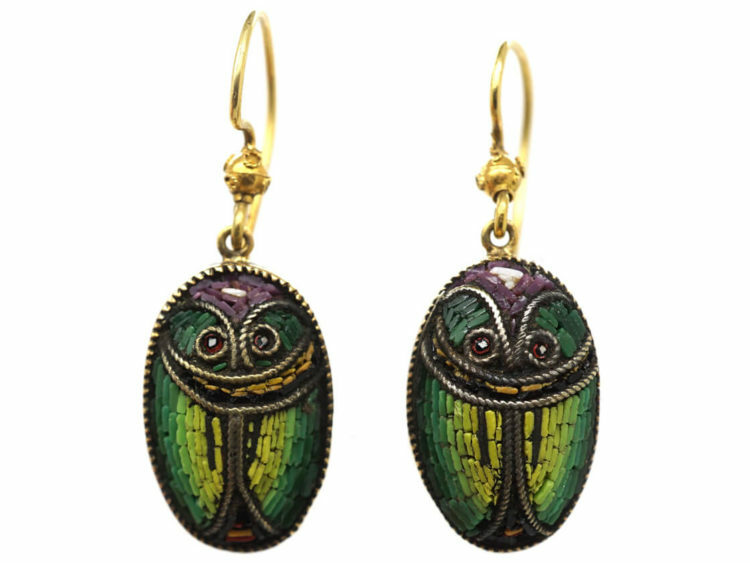 A pair of Victorian Egyptian Revival scarab beetle earrings in 15ct gold. 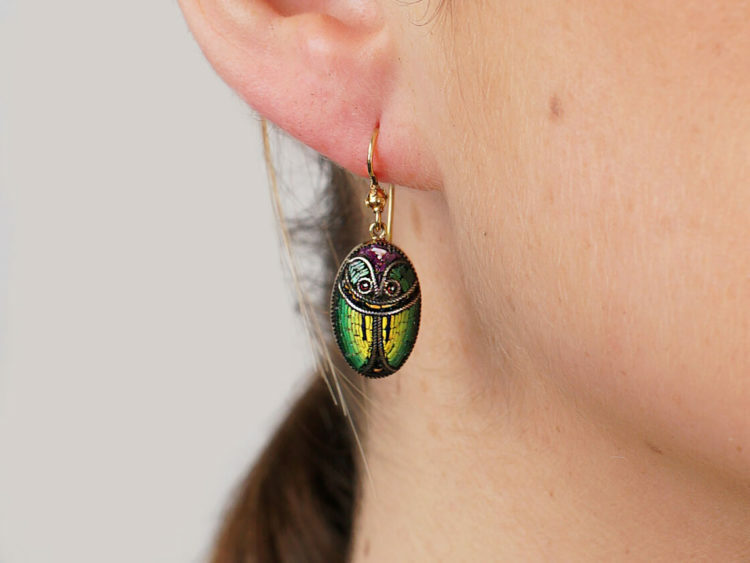 The Scarabs are made in Micro Mosaic, which is an Italian inlaid glass technique. 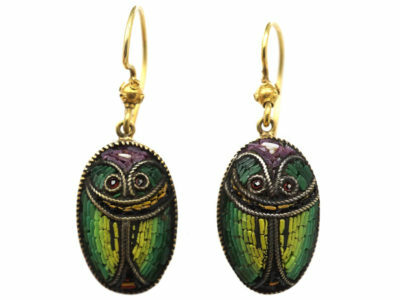 Scarabs are the Egyptian symbol of eternity. 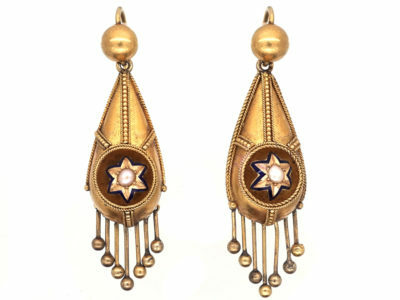 Egyptian Revival is attributed generally to the public awareness of ancient Egyptian monuments generated by Napoleon’s conquest of Egypt and Admiral Nelson’s defeat of Napoleon at the Battle of the Nile in 1798. 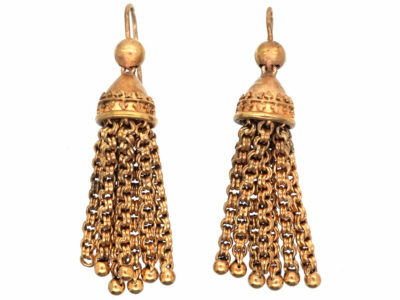 Since then, more and more tombs and discoveries were found in Egypt. 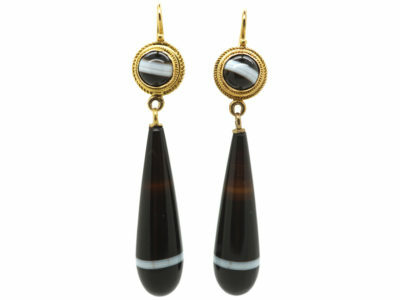 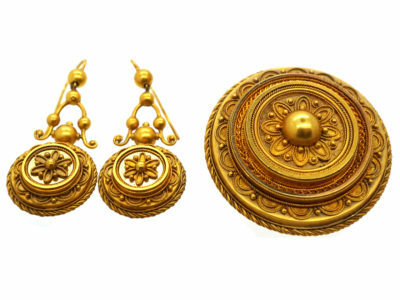 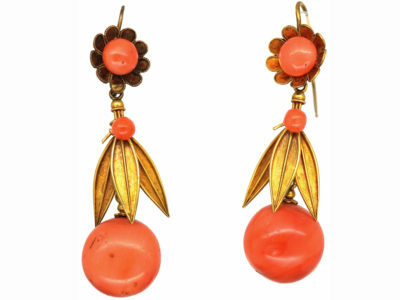 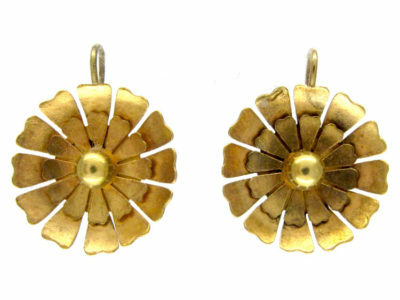 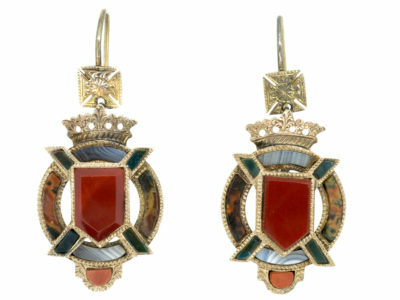 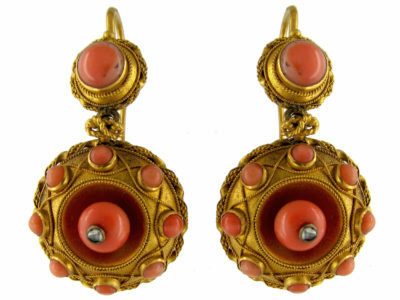 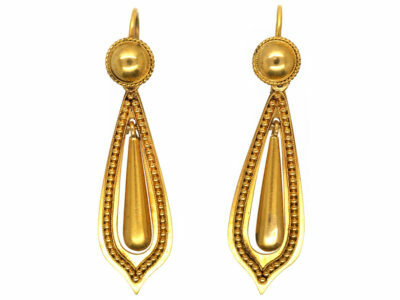 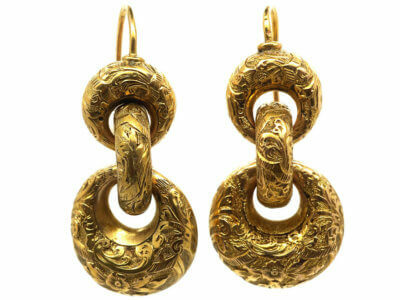 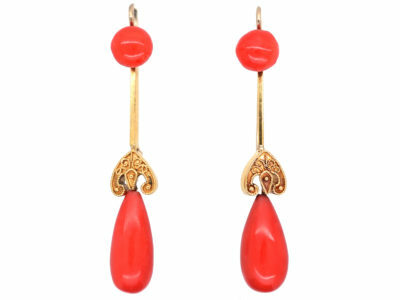 These earrings were made circa 1870.